January 10 – Following a quarrel earlier in the day, 27-year-old truck driver Charles R. Johnson is shot to death by his ex-girlfriend, 21-year-old Irma A. Clifton, when he answers the door to his shared apartment in Alexandria. February 8 – 75-year-old Mary E. Martin is killed in Alexandria by 18-year-old Gary Green as she walks along Franconia Road and Green strikes her with his car. February 14 – 40-year-old Judith E. Cox fatally shoots three of her children: 14-year-old Danny, 11-year-old Laurie Beth, and 4-month-old Timothy, and mortally wounds the fourth, 2-year-old Joe, before committing suicide in the family home at 421 Carolyn Drive in the Sleepy Hollow neighborhood of Falls Church. February 23 – To cover his petty theft, a 15-year-old boy sets a fire at the Braddock Elementary School in Annandale, causing $300,000 in damage. March 31 – 22-year-old Naval Academy midshipman Donald H. Wallace unintentionally kills himself when he crashes his sports car into a tree on Hunter Mill Road near Oakton. April 3 – 11-year-old David R. Patterson is found hanged in his bedroom in the family home at 9001 Elmdale Road in Alexandria. April 10 – The Fairfax County School Board votes to close the all-black Oak Grove Elementary School and assign its 59 students to other schools in the county. April 26 – 39-year-old Marian K. Lee asphyxiates herself in her car at her home at 4847 Ravensworth Road in Annandale. May 3 – 36-year-old James T. Carr shoots and kills 22-year-old Isaiah Evans and mortally wounds 35-year-old Otis Gilmore with a .303 caliber rifle in Gum Springs. Gilmore is taken to Alexandria Hospital, where he dies. May 3 – 60-year-old scientist Allan L. Tarr beats his 57-year-old schoolteacher wife Gloria to death in the bedroom of their home at at 2503 Coventry Lane in Alexandria. May 12 – Irma A. Clifton is sentenced to 15 years in prison for the January 10 murder of her ex-boyfriend, Charles R. Johnson. May 28 – The Ed Ault-designed Reston North Golf Course opens for public play. May 29 – Three teenagers, two of them students at Thomas A. Edison High School, are arrested following a six-day vandalism spree during which they smashed the windshields of 100 automobiles in the Springfield and Mount Vernon areas of the county. June 9 – On his first day of work for the Edsall Corporation, 18-year-old Wayne G. Carlan is killed in the collapse of a 7-foot deep trench for a sewer line on Elmwood Drive in the Burgundy Village neighborhood of Alexandria. June 10 – 17-year-old McLean High School student Michael J. Garvey mortally wounds himself playing Russian roulette with his father's .38 Smith and Wesson revolver in the family home at 5909 Maxwell Court in McLean. Garvey is taken to Fairfax Hospital, where he dies. July 19 – 33-year-old Lorraine Wilkerson and 35-year-old Dante A. Cantore drown in Timberlake in Oakton. July 30 – 64-year-old store owner Hyman Meyers is pistol-whipped to death by 33-year-old George Adams during a failed robbery at Meyers' Garden Food Store in Oakton. August 23 – 17-year-old Ballard R. Harris drowns in Burke Lake while swimming to recover an oar lost from his overturned rowboat..
August 30 – 16-year-old Norma A. Burril is strangled to death by Sherman W. Phillips, Jr. in his car, which he had parked near a baseball diamond near the intersection of Gallows Road and Arlington Boulevard in Falls Church. October 3 – The severely decomposed corpse of 38-year-old Jack R. Smith, who disappeared while on a shopping trip on June 25, is found by hunter Joseph G. Hale in a wooded area off Rugby Road in Fairfax. November 4 – Circuit Court Judge Paul E. Brown finds 36-year-old James T. Carr guilty of both first and second degree murder for the May 3 shooting deaths of Isaiah Evans and Otis Gilmore in Gum Springs. November 26 – 17-year-old David B. Passell unintentionally kills himself and his passenger, 16-year-old Autrey M. Wilkerson, when he loses control of the car he is driving and crashes into a telephone pole on Braddock Road near Guinea Road in Fairfax. November 30 – 36-year-old Walter A. Ford, Jr. is fatally burned when his car is rear-ended by Private Harold A. Westman as Ford waits to turn into a parking lot off the Richmond Highway in Alexandria. Suffering from second and third-degree burns over 75% of his body, Ford is taken to the Alexandria Hospital, where he dies on December 7. December 12 – Lieutenant Colonel Charles W. Fitzmaurice is shot to death when he is greeted by a shotgun blast after answering the door of his home at 8529 Parliament Drive in the Kings Park neighborhood of Springfield. 54 people were killed in traffic crashes in Fairfax County in 1964. 12 people died in fires in Fairfax County in 1964. ↑ Dewar, Helen. "Trucker Shot Fatally, Spurned Girl Charged." The Washington Post, Times Herald (1959-1973): A3. ProQuest Historical Newspapers: The Washington Post (1877-1994). Jan 11 1964. Web. 9 Jan. 2012. ↑ "Fairfax County Woman Killed by Car while Walking on Road." The Washington Post, Times Herald (1959-1973): 1. Feb 09 1964. ProQuest. Web. 25 Aug. 2014. ↑ Dewar, Helen. "Mother Kills Three Children, Herself in Falls Church Home." The Washington Post, Times Herald (1959-1973): A1. ProQuest Historical Newspapers: The Washington Post (1877-1994). Feb 15 1964. Web. 6 Feb. 2012. ↑ "Cause of School Blaze Eludes Investigators." The Washington Post, Times Herald (1959-1973): 1. Feb 25 1964. ProQuest. Web. 15 Jan. 2018. ↑ "Youth, 15, Admits Igniting School." The Washington Post, Times Herald (1959-1973): 1. Mar 13 1964. ProQuest. Web. 15 Jan. 2018. ↑ "Midshipman Killed as Auto Rams Tree." The Washington Post, Times Herald (1959-1973): 1. Apr 02 1964. ProQuest. Web. 17 Jan. 2014. ↑ "Police Probe Hanging of Boy." The Washington Post, Times Herald (1959-1973): B1. ProQuest Historical Newspapers: The Washington Post (1877-1994). Apr 06 1964. Web. 1 Jan. 2012. ↑ "Fairfax County Decides to Close One of Its Six All-Negroe[sic] Schools." The Washington Post, Times Herald (1959-1973): B3. ProQuest Historical Newspapers: The Washington Post (1877-1995). Apr 11 1964. Web. 3 Mar. 2012. ↑ "Annandale Woman Found Dead in Car." The Washington Post, Times Herald (1959-1973): B1. ProQuest Historical Newspapers: The Washington Post (1877-1994). Apr 27 1964. Web. 1 Jan. 2012. ↑ "Shots Kill 2 Men in Gum Springs." The Washington Post, Times Herald (1959-1973): 1. May 04 1964. ProQuest. Web. 22 Jan. 2018. ↑ "Two Slain, Murder Laid To 3d Man" Evening Star, 4 May 1964, Three Star, p. 30. NewsBank. Accessed 22 Jan. 2018. ↑ "Carr Sentenced to Forty Years." The Washington Post, Times Herald (1959-1973): 1. Jan 16 1965. ProQuest. Web. 22 Jan. 2018. ↑ "Teacher Murdered in Fairfax." The Washington Post, Times Herald (1959-1973): 1. May 05 1964. ProQuest. Web. 13 Aug. 2016. ↑ "Mrs. Clifton found Guilty in Slaying." The Washington Post, Times Herald (1959-1973): E6. ProQuest Historical Newspapers: The Washington Post (1877-1994). May 13 1964. Web. 10 Jan. 2012. ↑ "3 Arrested in Damage to 100 Cars." The Washington Post, Times Herald (1959-1973): B1. ProQuest Historical Newspapers: The Washington Post (1877-1995). May 30 1964. Web. 6 July 2012. ↑ Tuck, Lon. "Youth Graduates Monday Night, is Killed on Summer Job Next Day." The Washington Post, Times Herald (1959-1973): 1. Jun 10 1964. ProQuest. Web. 21 Aug. 2017. ↑ Douglas, Walter B. "Youth Shot as He Plays with Pistol." The Washington Post, Times Herald (1959-1973): 1. Jun 11 1964. ProQuest. Web. 16 Aug. 2016. ↑ "Youth Gun Death Ruled Accident." The Washington Post, Times Herald (1959-1973): 1. Jun 12 1964. ProQuest. Web. 16 Aug. 2016. ↑ "2 Drownings at Lake Held Accidental." The Washington Post, Times Herald (1959-1973): 1. Jul 21 1964. ProQuest. Web. 11 July 2014. ↑ Cheek, Leslie. "Storekeeper Beaten to Death in Robbery Try." The Washington Post, Times Herald (1959-1973): 1. Jul 31 1964. ProQuest. Web. 1 Aug. 2014. ↑ "Second Man Sentenced in Fatal Beating." The Washington Post, Times Herald (1959-1973): 1. Jan 08 1965. ProQuest. Web. 1 Aug. 2014. ↑ Wooden v. Commonwealth. 208 Virginia Reports 629. Supreme Court of Virginia. 4 Mar. 1968. Court Listener. Free Law Project, n.d. Web. 1 Aug. 2014. ↑ "Youth Retrieving an Oar Drowns in Burke Lake." The Washington Post, Times Herald (1959-1973): 1. Aug 25 1964. ProQuest. Web. 14 Aug. 2014. ↑ "Strangle Suspect Says He Tried to 'Calm' Girl." The Washington Post, Times Herald (1959-1973): 1. Jul 21 1965. ProQuest. Web. 20 Dec. 2013. ↑ "Strangler of Girl, 16, Convicted." The Washington Post, Times Herald (1959-1973): 1. Jul 31 1965. ProQuest. Web. 20 Dec. 2013. ↑ "Body found in Woods is Missing Navy Vet." The Washington Post, Times Herald (1959-1973): 1. Oct 06 1964. ProQuest. Web. 26 Aug. 2017. ↑ "Slaying Victim's Wife Kept Faith in Him" The Evening Star, 6 Oct. 1964, Three Star NIGHT FINAL, p. B-2. NewsBank. Accessed 26 Aug. 2017. ↑ "Veteran's Death Ruled Homicide." The Washington Post, Times Herald (1959-1973): 1. Oct 07 1964. ProQuest. Web. 26 Aug. 2017. ↑ "City and State: Guilty of Murder." The Washington Post, Times Herald (1959-1973): 1. Nov 04 1964. ProQuest. Web. 22 Jan. 2018. ↑ "2 Youths Killed as Car Strikes Pole in Fairfax" Evening Star, 27 Nov. 1964, Three Star NIGHT FINAL, p. 30. NewsBank. Accessed 31 Dec. 2017. 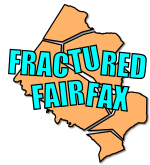 ↑ "Two Vacationing Classmates Killed as Auto Skids, Hits Pole in Fairfax." The Washington Post, Times Herald (1959-1973): 1. Nov 28 1964. ProQuest. Web. 31 Dec. 2017. ↑ "Man, 36, Critical After Accident." The Washington Post, Times Herald (1959-1973): 1. Dec 02 1964. ProQuest. Web. 11 Apr. 2017. ↑ "Police Suspect Grudge in Colonel's Slaying." The Washington Post, Times Herald (1959-1973): C4. ProQuest Historical Newspapers: The Washington Post (1877-1995). Dec 15 1964. Web. 10 Feb. 2012. ↑ "District-Area Traffic Toll Hits High of 327 during 1965" Evening Star, 1 Jan. 1966, One Star HOLIDAY, p. 20. NewsBank. Accessed 24 Dec. 2017. ↑ Kelso, Jack. "Year's Fires Cost 89 Lives And $9 Million." Evening Star, 2 Jan. 1966, Four Star, p. 67. NewsBank. Accessed 24 Dec. 2017.